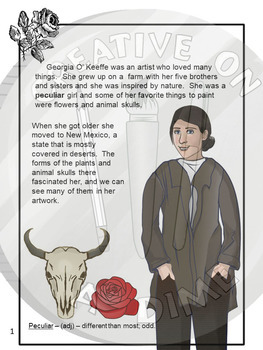 This artist packet can be used as enrichment to your Georgia O'Keeffe art lessons. 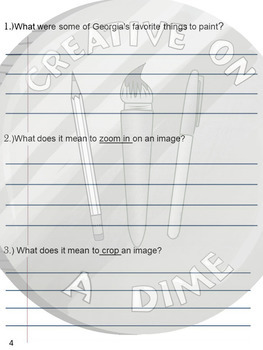 Use for fast finishers or for do-nows in the art room to incorporate reading in to your class! 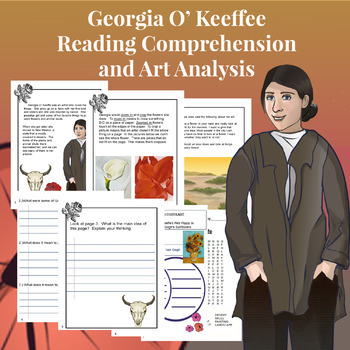 Included in this packet are 3 pages of informational text about the artist, 2 pages of reading comprehension, 1 compare and contrast prompt and 1 word search. 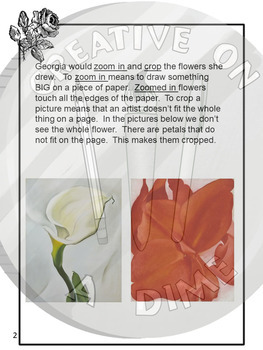 Learn about Georgia's interests and how she zoomed in and cropped her subject matter in a unique and engaging way.